To order a printed copy of The English Riviera brochure, simply click the order button below and one will be sent to your registered address. A Great Time Anytime is guaranteed on Devon’s Beautiful Bay. During the day you'll find award-winning beaches, 22 miles of beautiful coastline and unspoilt countryside to explore. After dark, there are fantastic restaurants, amazing shows, family-friendly entertainment and sparkling nightlife. All year round, the English Riviera boasts more top attractions than any other UK resort. It's also the birthplace of Agatha Christie, a UNESCO Global Geopark and temptingly, England's Seafood Coast! Adventure into the wild at Paignton Zoo where you can get up close to many popular, exotic and critically endangered species. Explore the beautiful 80-acre grounds which is home to over 2,500 animals including reptiles, orang-utans, lions, tigers, camels, crocodiles and an African elephant. Visit Kents Cavern Prehistoric Caves, one of Europe's top Stone Age caves which need to be seen to be believed! Meet the highly skilled artisans creating beautiful handmade ceramics, wooden and glass blown giftware at Cockington Court Craft Centre. Treat your loved one to a relaxing day at Cary Arms & Spa in Torquay with treatments to help you unwind and spectacular views of the coastline. This stunning resort has many parks, woodlands and paths which form part of the South West Coast Path to explore on foot or by bike. There's also an abundance of country pubs, waterfront bars and quality accommodation which provide great dog-friendly facilities. Whenever you come you'll have the time of your life. Request your official English Riviera guide now. The English Riviera 2019 Brochure Roy T. said: Good for recommending places to visit whilst on holiday. The English Riviera 2019 Brochure Claire H. said: Learning so much. Its stunning. Hoping to save for a holiday there in the near future. The English Riviera 2019 Brochure Frederick Y. said: Nicely laid out. The English Riviera 2019 Brochure Patrice S. said: Enjoyable short break, thank,yo. The English Riviera 2019 Brochure Alan P. said: Just purchased a house and moved to the area so very helpful for future reference. The English Riviera 2019 Brochure Andrea W. said: lovely location, and excellent hotel. The English Riviera 2019 Brochure Jackie O. said: Helped me decide that this is an area I definitely want to visit. Welcome to <I>Great Yarmouth</i>! 15 miles of golden sandy beaches stretching as far as the eye can see, more than 60 fun local tourist attractions to visit and miles of beautiful countryside and Norfolk Broads just waiting to be explored. 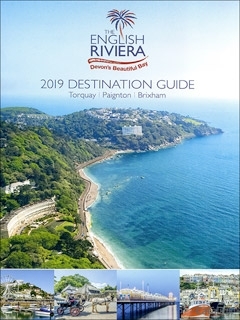 By pressing the Request Printed Brochure button you give consent to The English Riviera 2019 (and their Data Processors for the specific purpose of delivering your literature) to send you their Brochure .